In 2005. my beloved spiritual mentor, Abbot M. Basil Penington – a Trappist monk – died from injuries sustained in a vehicular accident. Since then, I had been without a spiritual guide although I had searched far and wide. Recently, my search brought me to a most magical place in cyberspace. – the website of Edward Hays. I am just beginning to explore this new-found wonderland and among my discoveries is his short bio, which reads like a juicy chunk of fiction. Wouldn’t it be nice to have a profile that reads like a short fairy tale? “Edward Hays portrays himself as walking the razor’s edge between madness and magic. Born in Lincoln, Nebraska, he describes his childhood as being surrounded by silent applause from his parents, his brothers Joe and Tom and his sister Jane. “With that enchanted childhood as a bulletproof vest, he entered adult life — but never totally abandoned the wonder-world of stories and imagination. 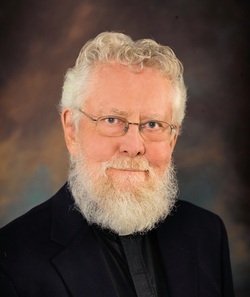 His professional education was shaped in the magic monastery of Conception Abbey in Missouri, where the Benedictine monks opened his eyes to the location of hidden treasures along the road of life. “In 1958 he was ordained a Catholic priest and wandered here and there in the mystic land of eastern Kansas. A star chaser like the Magi, he ventured to India and the Orient, only to discover that Shangri-La was back home. Returning to Kansas, he became a member of a contemplative community of men and women located east of the moon and west of the sea. In 1978, nudged by the muses to assist those explorers searching for Shangri-La in their backyards, he began making a series of strange maps which some call books.